Detachable 6-knife head and compensation rings for use with 3 knives. 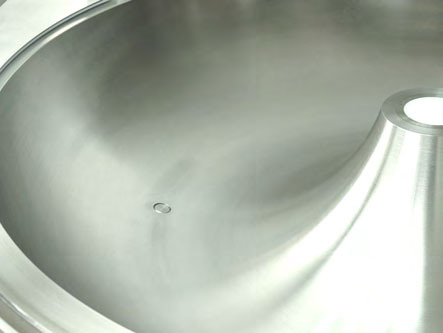 Optimized cavity design uses bottom of the stainless steel lid to also cut. 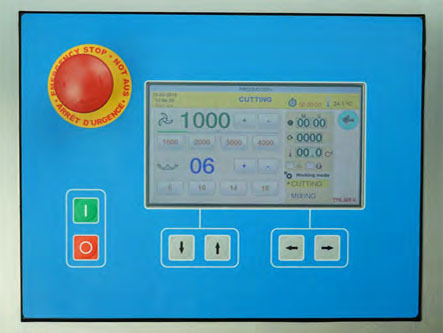 Control panel with large 7″ digital touch screen and 6 membrane pushbuttons. 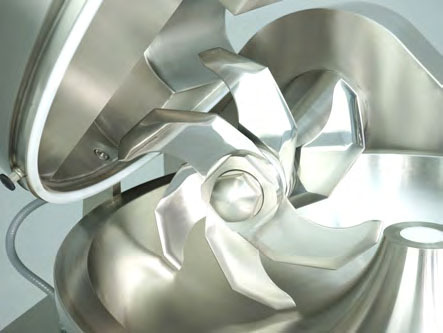 Variable high cutting speed from 1.000 to 4.000 rpm. 4 preselectable knife speeds: 1.000, 2.000, 3.000 and 4.000 rpm. Removable lid/bowl friction band to facilitate cleaning. 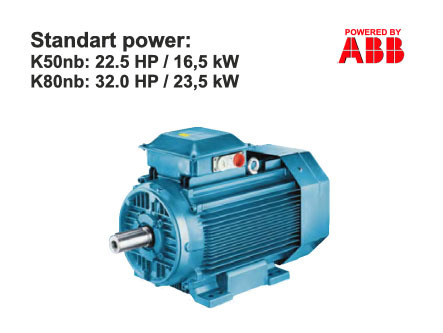 High power to cut compact and dogged meat: – K50nb: 22 HP / 16,5 kW – K50npp (with PowerPlus option): 32 HP / 23,5 kW. 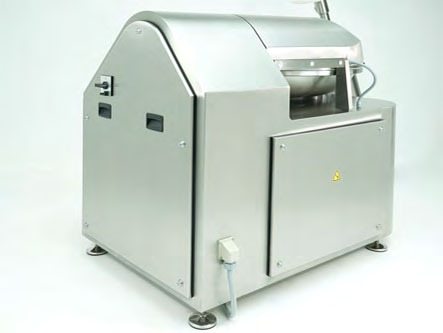 Machine frame, bowl and all bolts & screws 100% stainless steel AISI304. 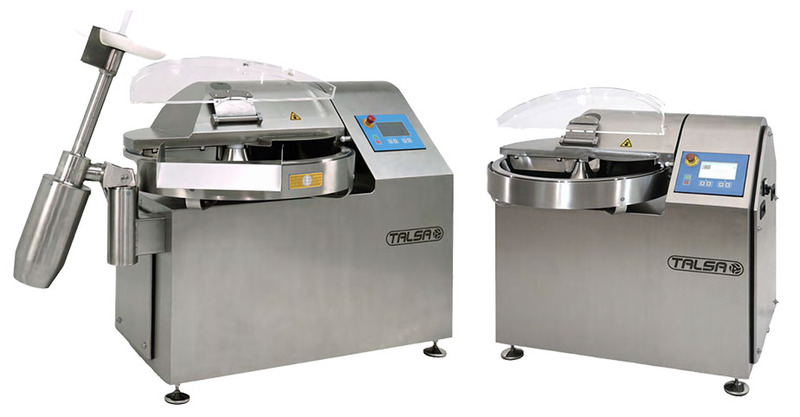 Bowl capacity K50npp: up to ±37 kg (±82 lbs) soft meat or ±25 kg (±55 lbs) dogged meat. K50nb: ±32/±20 kg (±71/±44 lbs). 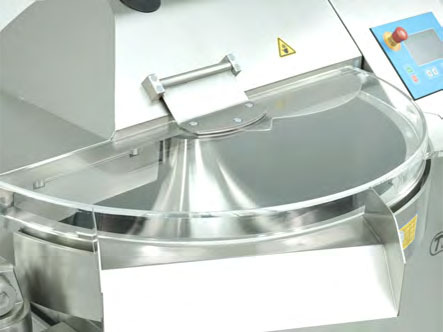 Noise protection plastic cover with CE when opening and returning to the previous speed when closing. 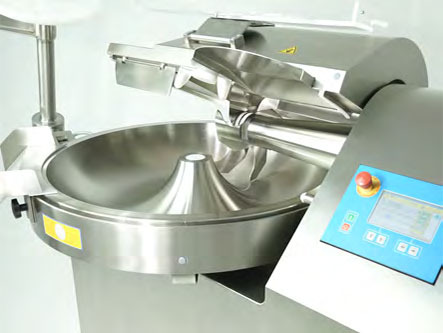 Bowl capacity K80npp: up to ±60 kg (±132 lbs) soft meat or ±40 kg (±88 lbs) dogged meat. K80nb: ±52/±32 kg (±115/±70 lbs). Unloader extracting arm with motorized disc (optional). 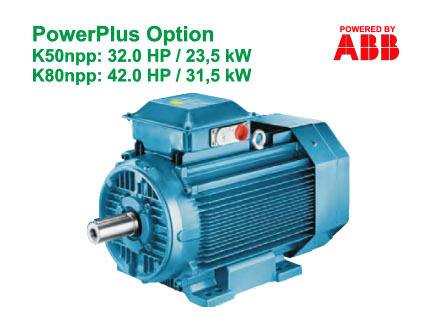 High power to cut compact and dogged meat: – K80nb: 32 HP / 23,5 kW – K80npp (with PowerPlus option): 42 HP / 31,5 kW. 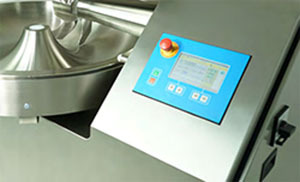 Electronic device to avoid condensation inside the machine. 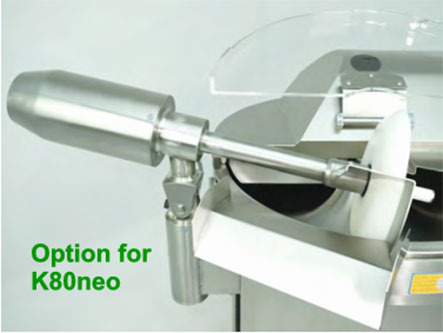 Automatic electronic knife safety brake. 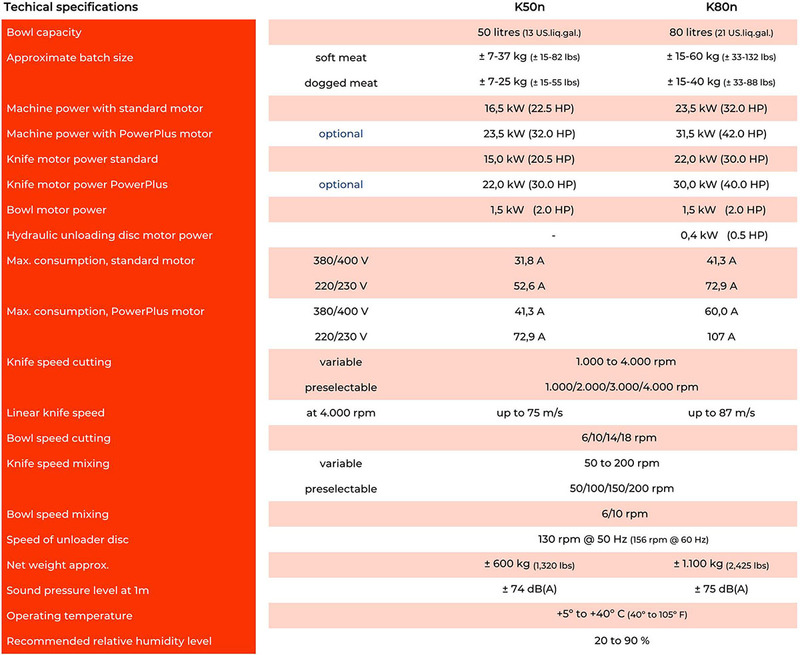 Standard voltage 400/380 V, voltages available. 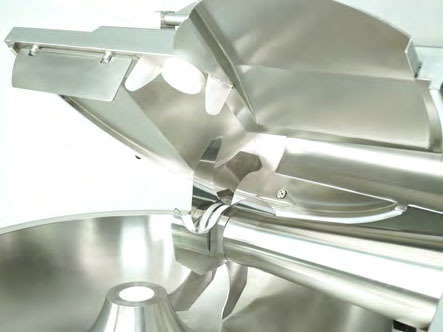 The Talsa K50neo and K80neo bowl cutters are designed for the production of hash of all kinds, for butcher’s shops and small industrial meat processors. 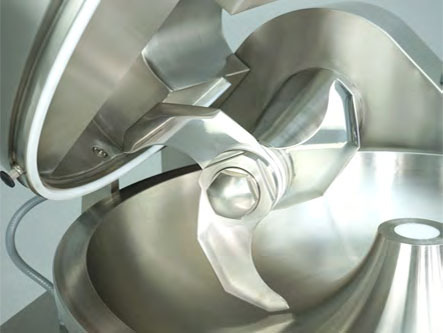 The K50neo and the K80neo cut, mix and emulsify all types of food products, from thick to very ﬁne textures. 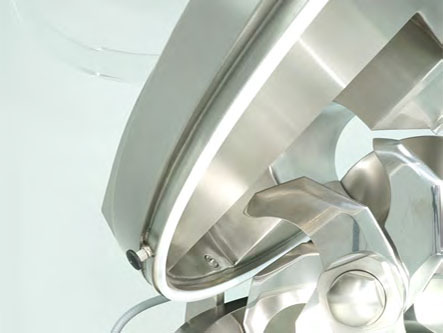 They are simple to use, have an automated control system and are cleaned and maintained with ease. 6 membrane buttons for the most used functions.